There are so many reasons to read and meditate on the Bible, but one that I had not much considered came clear to me some years ago when I was reading a book of essays called, Renewing Your Mind in a Secular World, edited by John Woodbridge. The chapter in the book which grabbed my attention was written by the noted Psychiatrist Paul Meier and entitled Spiritual and Mental Health in the Balance. As a budding psychiatrist, Meier was interested in the question of what makes someone mentally healthy. In other words, from a scientific point of view, what is it that contributes to emotional maturity, joy and peace, or, in other words, low levels of anxiety, bitterness and depression? To answer his questions, Meier did a research study of seminary students using a well-known psychological test called the Minnesota Multiphasic Personality Inventory (MMPI) and an extensive spiritual life questionnaire. Even though trusting Christ is all that is needed to obtain eternal life, experiencing the abundant life Christ promised (John 10:10) and experiencing the fruit of the Spirit (love, joy, peace) rather than bitterness, depression and anxiety are dependent upon a renewing of the mind. Renewing of the mind can come from various sources, such as confrontation by loving friends about personal blind-spots, therapy with a Christian professional counselor, conviction from the Holy Spirit, confrontation with scriptural principles in sermons or seminars, and daily meditation on Scripture. Renewing of the mind is a continual process, a progressive sanctification requiring continual, preferably daily, input from God’s Word. 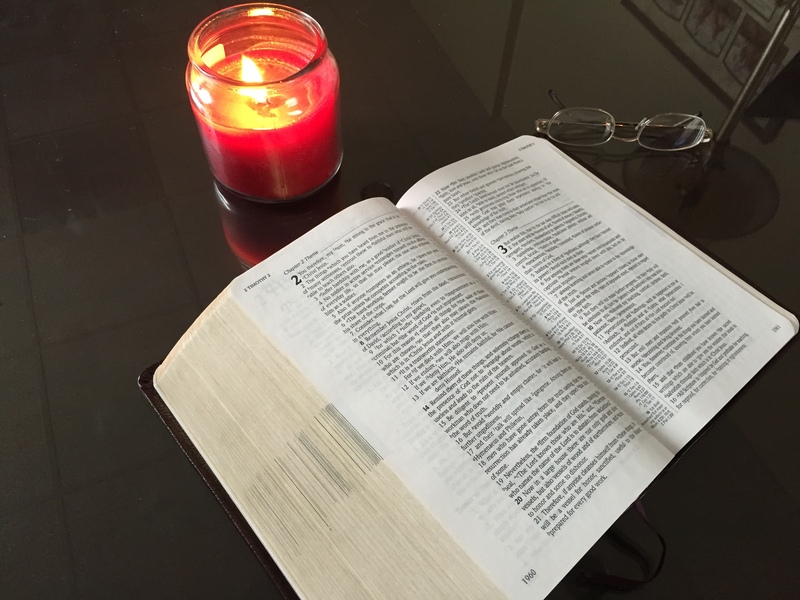 Daily meditation on Scripture, with personal application, is the most effective means of obtaining personal joy, peace, and emotional maturity. On the average, it takes about three years of daily Scripture meditation to bring about enough change in a person’s thought patterns and behavior to produce statistically superior mental health and happiness. None of the students in Group C (those with statistically significant psychological conflicts) were presently meditating on Scripture daily, although some were reading their Bibles regularly as a textbook for their classes. All of the students who had meditated on Scripture daily, or almost daily, for three years or longer were in Group A or Group B, with most being in Group A (superior in mental health, happiness, and maturity). I guess all this shouldn’t be a surprise, as Psalm 1 and Joshua 1 tell us of the blessings that come on the person who meditates on the Word of God, but I hope a little science will also move you to give yourself to regular meditation on the Book of books. In fact, consider joining us at Edgewood Community Church as we read through the New Testament in 2015. We start in Matthew and will read a chapter each weekday (260 chapters in the New Testament, 261 weekdays in 2015) I’ll be posting a devotional of the chapter we’re reading each day, and I hope you’ll both read the chapter of the day and stop by the blog to meditate a little further.